If you asked anyone about the blockchain technology five years ago, they would have probably rolled their eyes in dismissal. However, the dramatic rise of Bitcoin has put its underlying tech in the limelight. Even though some people are predicting the fall of Bitcoin, everybody agrees that blockchain will stick around for a very long time. Blockchain is a revolutionary technology that still many people have a hard time comprehending how it works. Simply put, it includes an immutable, decentralized public ledger that eliminates the need for a central authority, ensures privacy, and makes the transfer of data transparent. Bitcoin was the first implementation of this tech, and many industries quickly found numerous applications for it within their niches. For example, did you know that 90% of major North American and European banks are exploring blockchain-based solutions? 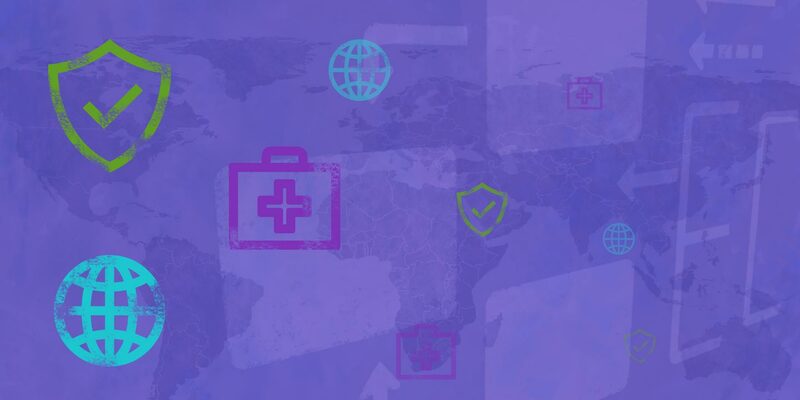 Or that 15% of healthcare organizations adopted blockchain for commercial deployment in 2017? Businesses and organizations across multiple industries seem to be on a race to adopt blockchain technology, and it’s for a good reason. The way it works just makes uses keep rolling out. The blockchain-based system is a decentralized or distributed network that works on the peer-to-peer principle. This means that it is not governed nor maintained by any central authority or administrator, but by several or numerous independent computers. A blockchain system can’t work without a ledger which registers any change of data on the network. It is not possible to conduct any transactions or transfers of data without this registration. Depending on the needs of the users maintaining the network, these ledgers could be public (the most popular use), private, or consensus. Now, before data transfer is completed and registered on the ledger, other members on the network need to verify it. This step is necessary to prevents frauds and double transactions. After verification, transactions are added as a block of data to the chain that contains all previous blocks of data. Each of them contains information of the previous blocks, making the chain unbreakable. In other words, you cannot cut the chain and remove any part of it without destroying the entire system. This is precisely what makes it so secure. As we already said, the chain of data is not stored on a central network of computers but is copied over across different computers. If hackers ever wanted to breach into a system, they would first have to gain control over individual computers. This is nearly impossible, considering that a blockchain network could be composed of millions of different machines. This way of storing data and other opportunities that blockchain offers have quickly attracted many businesses and organization who began implementing blockchain solutions in their daily operations. Not relying on a central clearing authority translates directly to improved security, lower costs, and faster transactions. Since the system completes most of the operations by itself, the need for human interference is nearly eliminated, which further means that human errors could not impact how blockchain and transactions work. Furthermore, transactions between people conducted on such a system can be trustworthy, as it is not possible to change or remove data once it’s registered on the ledger and added to the blockchain. Nearly all major industries have already adopted the technology. Let’s see a few examples. In the cybersecurity industry, for example, there are already countless startups working on improving online security and eliminating hacking, identity thefts, etc. By using blockchain, these new solutions do not have to rely on the old 'username-password' system, as it is now possible to access and use a service without ever creating usernames and passwords. The improved security levels are, of course, much better than what we had before, but since the industry is still young, these solutions are not perfect yet and could be still vulnerable to attacks in some cases. This is yet another industry that has profited from implementing the blockchain technology. Some big names like IBM and Samsung, as well as numerous startups, are working on creating decentralized apps that will be responsible for controlling IoT devices. Since they will be blockchain-powered, the network will be harder to breach into, and there will be significantly fewer abuses. Blockchain solutions in the healthcare industry are already the old news. Since it is now possible to store patients’ personal and medical data on a distributed network, there are fewer frauds with leaked social security numbers, insurance, social benefits, etc. Considering that the blockchain technology is currently the best way to store and transact data, many experts agree not only that it is here to stay, but that it will grow in the future. We should not be surprised by such predictions, as it is not easy to replace it with other currently existing technology. The competing tech would have to be simpler, offer higher levels of security, efficiency, and transparency, but also be able to penetrate all major industries. At this moment, blockchain does not have such competition.